Abu Dhabi: An Indian student has invented robots to help the United Arab Emirates (UAE) become greener, including a cleaner bot that preserves the marine environment and another that helps minimise human labour on farms, the media reported. Sainath Manikandan, a student at the GEMS United Indian School here, built the Marine Robot Cleaner (MBot Cleaner) and Agriculture Robot (Agribot), said he hopes that authorities would implement his inventions on a bigger scale, the Khaleej Times reported on Thursday. His mission with the robots is to help protect marine species and the farmers who work in warmer countries like the UAE. MBot is a prototype robot that can remove floating wastes from surface water. It is basically shaped like a boat and can be operated remotely with a radio control. It runs with two motors that help the boat move in the water. Popsicle sticks are attached to a wheel and then to the third motor to push the waste from the water bodies into the storage basket. 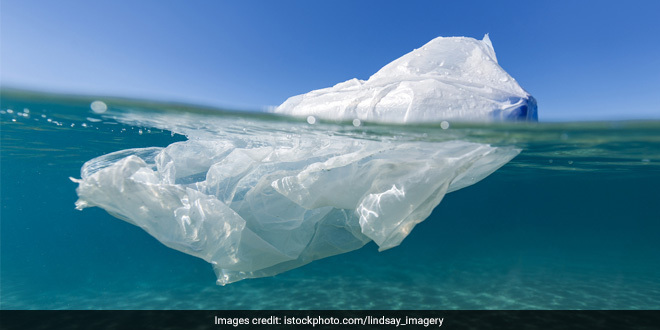 Also Read: Plastic Pollution: Juhi Chawla Suggests A Plastic Bag Alternate Used In Indonesia, This Might Work! The student added that by developing the MBot on a bigger scale, “we can try to preserve our marine species and environment”. His AgriBot is a machine that is also powered by solar panels, instead of batteries. The purpose of AgriBot is to help the farmers in hot countries like the UAE. It is designed to minimize the labour of farmers, in addition to increasing the speed and accuracy of the work. It performs the elementary functions involved in farming, such as ploughing the field, sowing seeds, and covering the seeds with soil. The robot is autonomous and provides the facility for the optional switching of the ploughing system when required. Recycling just one tonne of paper can save 17 trees, 7,000 gallons of water, 380 gallons of oil, 3.3 cubic yards of landfill space and 4,000 kilowatts of energy.